Shanghai’s Pudong and Hongqiao airports have installed 1,800 bins for different types of waste. The color-coded bins have been placed in the terminal buildings and car parks. Single-use trash cans will be removed. Qin Yun, president of the airport authority, called for the “highest standard and quality” to implement the city’s domestic garbage management regulation which will take effect in July. The authority has required stores, restaurants and offices to avoid unnecessary wrappings and disposable materials to reduce waste. Airport staff and volunteers will be deployed to show passengers from home and abroad how to place garbage in appropriate bins. 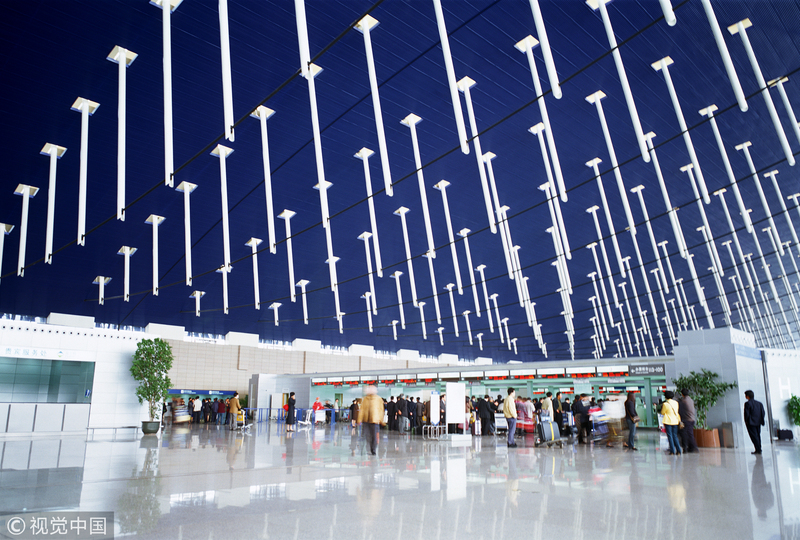 Shanghai's Pudong and Hongqiao airports have installed 1,800 bins for different types of waste.